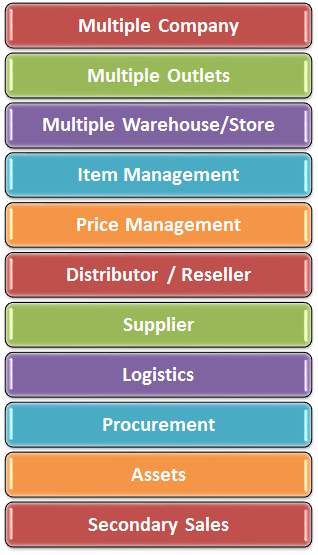 Main problem of any distribution company is to manage their supply chain effectively and accurately. Accounts Plus provides effective solution to manage network of interconnected business involved in the provision of product and services required by the end customers. Manage entire activity through forecast, planning, purchasing, internal processing of materials into finished goods. Accounts Plus spans all movement and storage of raw materials, work-in-process, inventory and finished goods from pint of origin to point of consumption.